"Three stripes, two stripes or no stripes...our custom Vintage Driver Covers are made-to-order just for you. 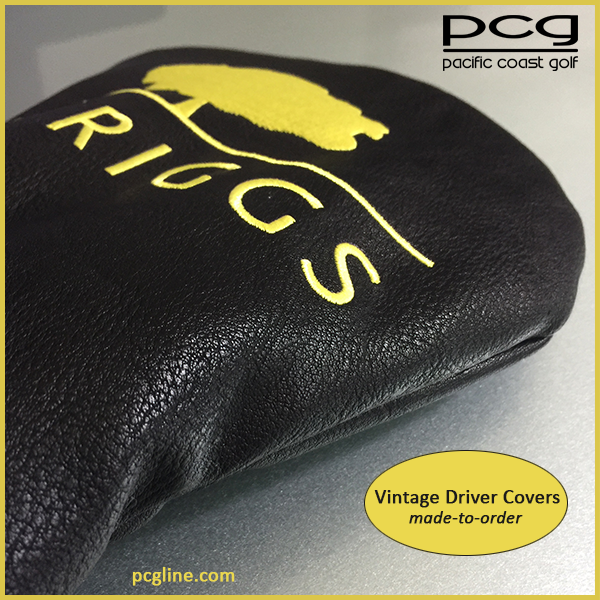 Your covers, your way"
Made of advanced synthetic leather, our Vintage Golf Covers are extremely popular and we have the ultimate offering because all of our vintage covers are 100% made-to-order. You can have vertical stripes, horizontal stripes or chevrons with one or two logos at no extra charge. We even offer faux lambswool or acrylic fur lining for an additional charge. Hundreds of exterior material color options available. Free Digitizing, Free Embroidery, Unlimited Stitches and Free Shipping. navy, royal blue, yellow, cool grey, gold, brown, burgundy, pink, and orange. • AVAILABLE IN FAIRWAY AND HYBRID MODELS. Refer to below pricing.